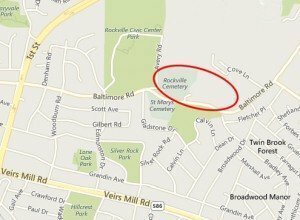 Rockville Cemetery, on Baltimore Road, is our community’s oldest burial ground, located near the eastern edge of the City of Rockville, the county seat of Montgomery County, Maryland. The upper, western section of the cemetery is separated by age, a stream, and a dramatic change in elevation from the lower, eastern section. With gravestones dating from 1752 to the present, it is a classic 19th century rural cemetery alongside a mid-20th century lawn plan cemetery. The property is a designated Rockville Historic District. The roster of persons buried at Rockville Cemetery reads like a “Who’s Who” of Montgomery County and Rockville. Here you’ll find veterans from every American conflict, town mayors and county officials, farmers and carpenters, and well-known names in baseball, aviation, education, literature, and astronomy. Burials in the frontier began soon after an Anglican chapel of ease was established here in 1738; the oldest extant tombstone is dated 1752. Nearly a century later, Christ Episcopal Church moved its congregation into the small town of Rockville but continued to use the graveyard. In 1880, representatives of five Protestant denominations incorporated the Rockville Cemetery Association of Montgomery County. The upper cemetery evolved into a stunning example of the Rural Cemetery movement, where the picturesque landscape, curving roads, attractive monuments, and plantings provided continuity for families and the community. Demand for space led to the addition of the lower cemetery, which was laid out in 1936 by Philadelphia landscape architect Robert Cridland as a handsome Lawn Cemetery. The property consists of 26.64 acres in which are buried more than 4,600 individuals. As Rockville continued to grow, so did the cemetery and the property was annexed into the City boundaries in 1984. Burials are still conducted every month of the year. Rockville Cemetery has experienced highs and lows in its 250-year history. Rejuvenated by the new corporation in the 1880s, the neglected cemetery’s future brightened under new stewardship and functioned as a community burial ground accessible to all. The Rockville Union Cemetery Society, an active women’s group led by Rebecca Thomas (Biays) Veirs, assumed management and maintenance to transform the property from a veritable wilderness into a place of quiet beauty. By the late 20th century, though, Association maintenance and community interest had declined dramatically. In 2001, lot owners, community members, and public officials stepped up to incorporate Rockville Cemetery Association, Inc. (RCA) in response to an outcry of public indignation about conditions in the cemetery. RCA, which was recognized by the IRS as a private 501(c)13 non-profit organization, accepted title to the property and elected a new Board of Directors to turn the situation around. The association has improved the ongoing maintenance and appearance of the property. Extensive capital work was accomplished as well, including repairs to the 1889 caretaker’s cottage and outbuilding, extensive renovation of internal roads, drainage improvements, repair of hundreds of damaged and fallen tombstones, and installation of road signs to assist visitors in finding sites of family members and notable people buried here. At the helm was Dr. Stephen Cluskey Cromwell, a beloved retired Rockville physician and descendant of Rebecca Veirs. Dr. Cromwell enjoyed reconnecting with many of his former patients and working with families in their time of need. He served as the Association President for 14 years, during which time the Association brought the cemetery back to its splendor. In 2014, Rockville Cemetery moved into a new era when Dr. Cromwell retired from the Board and was honored as President Emeritus. Shortly afterward, in June 2015, he passed away and was buried with military honors among family members here. Burt Hall, long-time director of the City of Rockville Department of Recreation and Parks, and an active member of the RCA board since its inception, is the current Board President. Gravestone conservation and improvement of the roads and services are continuing projects at Rockville Cemetery. RCA has installed two columbaria for the inurnment of cremated remains to better serve the community needs as families are increasingly turning to cremation. Volunteers continue to identify veterans from all American conflicts since the Revolutionary War and to place appropriate flags at their grave sites at special times of the year. A complete list of veterans can be found here. The Rockville Rotary Club has taken special interest and club members continue to serve on the cemetery board. RCA is currently focused on digitizing its records and mapping the cemetery. A major upgrade to the RCA website now provides easy access by the public to general information about Rockville Cemetery, purchasing of grave sites and niches, cemetery policies, maps, links to records, information on tours, newsletters, and ways to get involved in support of Rockville Cemetery. While serving as a reminder of our history, Rockville Cemetery continues its mission begun more than 275 years ago. Rockville Cemetery Association, Inc. took over ownership and operation of Rockville Cemetery in 2001. The organization is led by an all-volunteer Board of Directors, made up of ten members from the community. The Board meets monthly to conduct business and to review and establish policies to successfully maintain and operate the cemetery. An annual Community Meeting is held in April. The public is welcome to attend all Board meetings. Rockville Cemetery is a registered non-profit Maryland corporation, officially designated as a 501(c)(13) by the U.S. Internal Revenue Service. Its sources of revenue are sales of grave sites and columbaria niches, and fees associated with burials. Grants and donations are also an important source of revenue. The Beall family has a distinguished history in the civic, social, and political development of Georgetown and Montgomery County since the 1700s, and several members are interred at Rockville Cemetery. 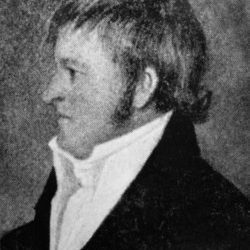 Upton Beall served as the 2nd Clerk of the Court for Montgomery County, and built the Beall-Dawson House in Rockville in 1815. 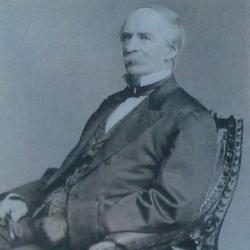 One of the most respected figures in Montgomery County during the 19th century, he served as a U.S. Congressman, in the Maryland House of Delegates and State Senate, as State’s Attorney for Montgomery County, and as Chief Judge of the Maryland Court of Appeals. Judge Bowie owned the expansive farm adjacent to Rockville Cemetery known as Glenview, which exists today as Rockville Civic Center Park. One of his final civic actions was to incorporate the Rockville Cemetery Association, serving as its first president and donating five acres of land for additional burying grounds. 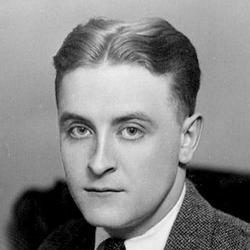 One of America’s most celebrated writers, author of such works as The Great Gatsby, and often credited with creating the term “The Jazz Age,” Fitzgerald and his wife, Zelda, were originally interred at Rockville Cemetery in the 1940s. In 1975, their remains were moved to St. Mary’s Cemetery in Rockville. 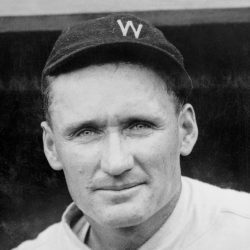 One of the greatest pitchers in major league baseball history and one of the first players inducted into the Baseball Hall of Fame, the “Big Train” lived on farms in Montgomery County (in Bethesda and in Germantown) and served as a County Commissioner. Read about “The Hall Ball” and its visit to our Walter Johnson’s gravesite. 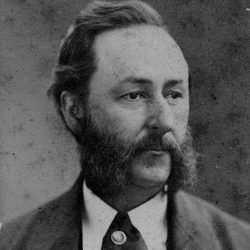 This prominent Rockville physician served patients in the Rockville area throughout the second half of the 19th century. A respected member of the community, he was elected one of Rockville’s first councilmen following the newly-adopted town charter of 1888. 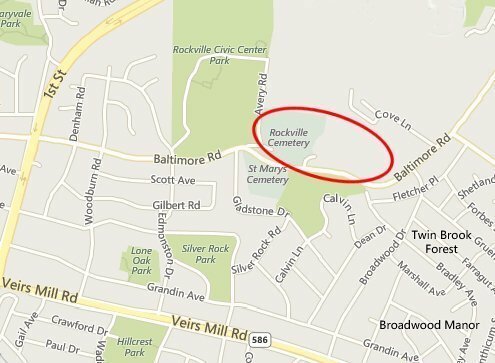 The Rockville Cemetery is located at 1350 Baltimore Road, Rockville MD, 1⁄4 mile south of MD Route 28. There are separate entrances for both the upper and lower sections of the cemetery. The upper cemetery entrance borders the east side of the Rockville Civic Center Park, and is accessible from Avery Road, just off of Baltimore Road. Continue south on Baltimore Road to access the adjacent lower cemetery grounds. Both entrances are identified by “Rockville Cemetery” signs. Rockville Cemetery Association has no employees, no paid managers, etc. This is a complete list of Officers, Directors, Members, Agents, Managers, Etc. The Board of Directors meets most months of the year on the second Tuesday of the month. You are welcome to join us at Rockville City Hall, 111 Maryland Avenue, Rockville, MD, from 7 to 9 p.m. Our Annual meeting and Election is held during the April meeting. To ALL groups and individuals which have directly supported our efforts to maintain and provide this historic cemetery, we express our heartfelt appreciation and recognition! There are various ways to contribute and enhance the efforts of the Rockville Cemetery Association. Volunteers are most welcome as are financial contributions. If you would like to become more involved with Rockville Cemetery, here are some current opportunities. You may wish volunteer yourself or your organization. Assist with cleaning up flowers and decorations following Memorial Day, Labor Day, Christmas, and other holidays. Call or email us at (301) 468-7331 or rockvillecemeterymd@gmail.com. Your donation will be put to good use. All donations to the Rockville Cemetery Association are tax deductible. For your convenience use the PayPal link below to donate using a credit card. Click document icon below to download and print the form below and use our mailing address to submit your donation by check. In-kind donations are also gratefully accepted. Are you interested in finding relatives at Rockville Cemetery? Just go to Rockville Cemetery on FindaGrave.com and search the names! Each memorial on FindaGrave shows a burial location at the bottom. Use our Rockville Cemetery Lot Maps to locate them within the cemetery.